Composition for 8 channels, created for TONSPUR, Vienna Austria. Performed in the courtyard of the MuseumsQuartier, Vienna Austria, August 16-17, 2014. A breakwater is commonly understood as a barrier built out into a harbour or along a coastline to protect the shore from the activity of the incoming waves. More basically, it is a dynamic point where surfaces meet—water and air, churned together against concrete, metal, stone, or sand. Breakwater considers the meeting of the sea-air surface along with the added dimension of electro-magnetic activity, particularly radio waves, at the point where signals cross, mingle, and agitate one another. It is a multi-channel composition consisting of a series of boundary interactions between sound and signal, transposing between fluid and electro-magnetic media, mechanical and radio waves, featuring field recordings from underwater, from an old navy breakwater, and from shortwave and middlewave radio. 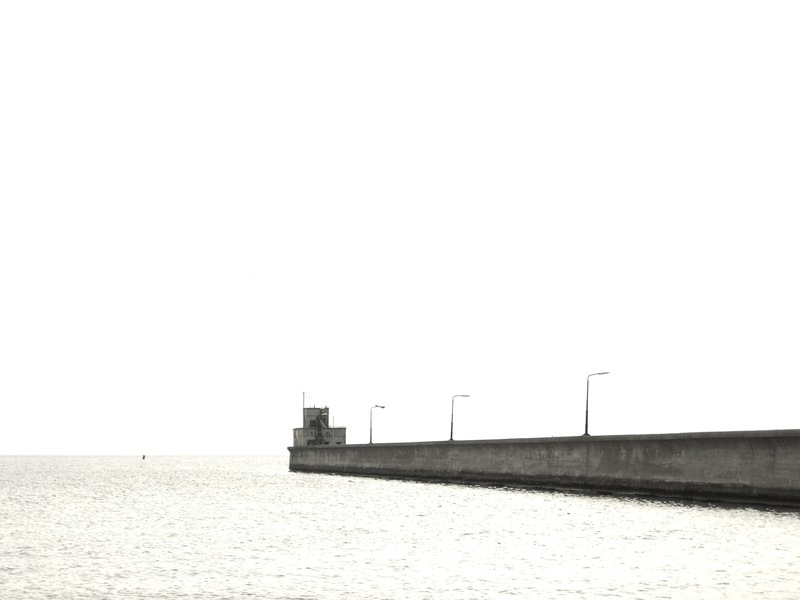 Some underwater sounds recorded by scientists at the Hel Marine Station, Hel, Poland, and accessed during an artist residency at Laznia Centre for Contemporary Art, Gdansk, Poland, in cooperation with the Hel Marine Station, June 2014. Other field recordings by Anna Friz in Hel and Gdansk, Poland, and Wien, Austria.